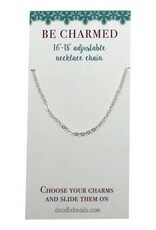 Fine Bright silver plated chain necklace, 16 inch (+ 2 inch extension) Silver plate over brass base. Versatile and easy to use. 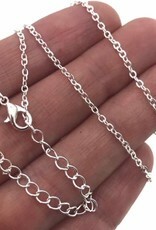 Small link size – 1.5mm -2mm. 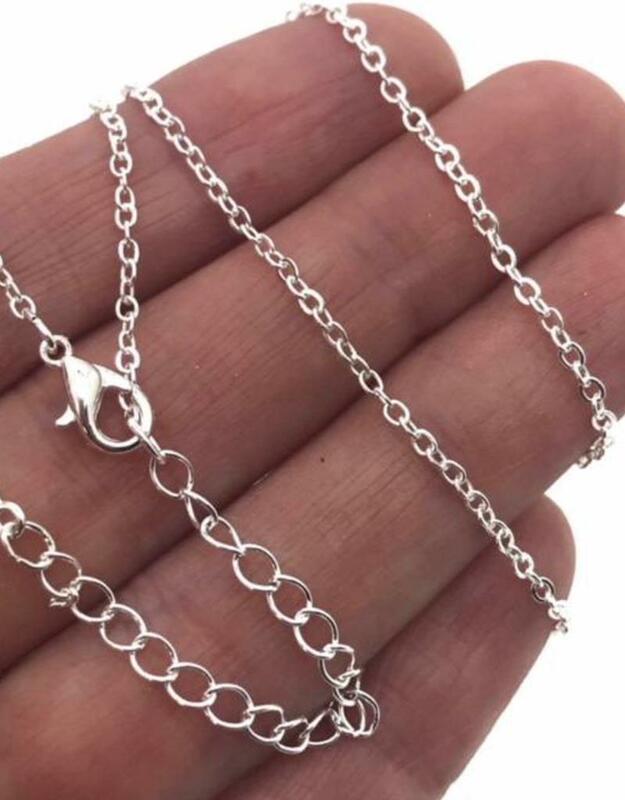 Chain is so easy to draw the links chain through any lovely pendant or charm; just as long as your jump ring, charm or pendant hole is 4mm or larger. 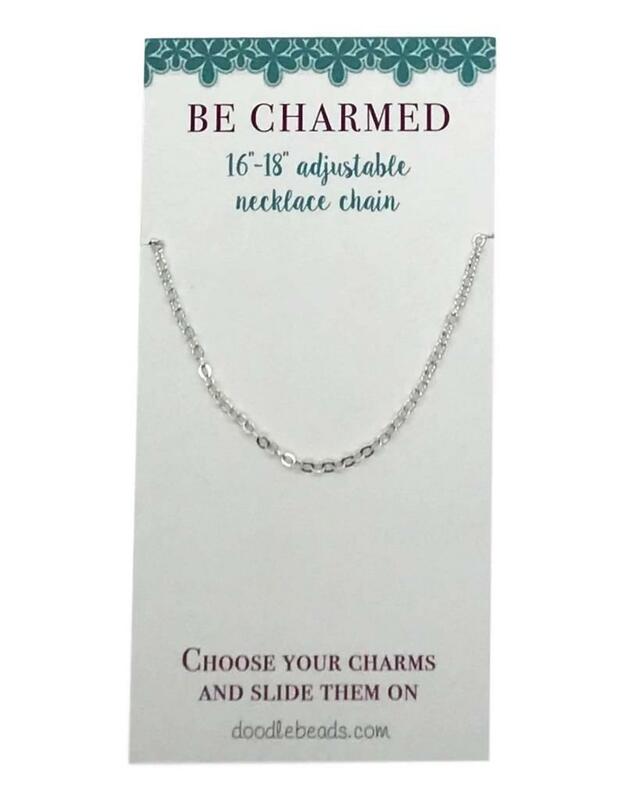 Choose any of our doodle beads charms and slide them easily onto this chain.